Young adult horror has seen a massive surge in popularity in recent years. In general, most major films based on books that have been coming out recently have been adaptations of young adult/teen material. First it was Harry Potter, then it was Twilight, followed by The Hunger Games and Divergent. 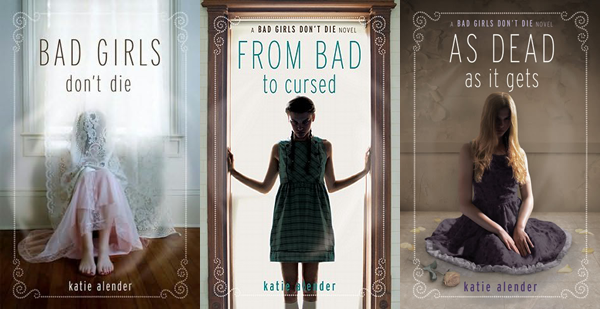 There’s a lot of great supernatural fiction being written in the young adult market. And the demand for horror literature aimed at an early teen audience is higher than it has ever been. With that in mind, let’s take a look at some genre novels aimed at a young audience that would make for great feature films. Bad Girls Don’t Die is, in some ways, like Twin Peaks-lite. It’s very quirky, very weird, supernatural and scary and you can never be entirely sure of what’s happening. The ultimate focus is on a sibling rivalry, in which one sister may or may not be possessed. The structure lends itself well to a film and an adaptation could prove to be really interesting if it kept to the style of the book. It also spawned a series of sequels, so there would be the franchise potential that all studios crave. 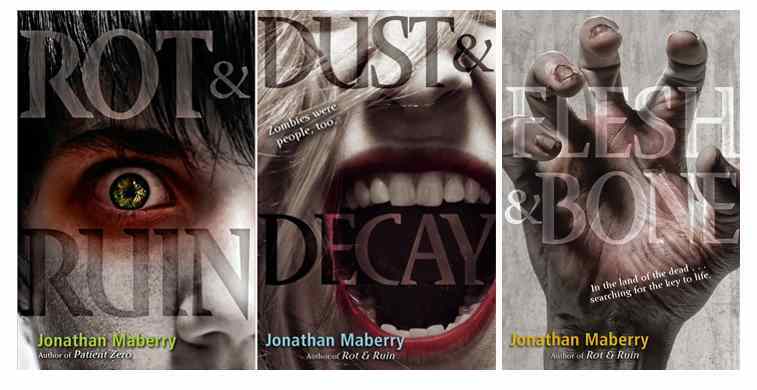 In some ways, Jonathan Maberry’s Rot and Ruin is like a young adult version of 28 Days Later. It’s a zombie epidemic story that, while it does not talk down to its readers, is nonetheless geared toward a slightly younger audience. It follows a 15-year-old boy named Benny as he adjusts to life in a post-apocalyptic wasteland. The tone is what really makes it, though. It can be humorous, but it takes itself seriously in a way that a lot of YA books on the subject don’t. Frankly, I’m surprised we haven’t seen more fare like this on the screen lately. With the exception of Warm Bodies and ParaNorman, there have not been a lot of attempts to capture that audience. That still leaves plenty of potential and I think Rot and Ruin would definitely be different enough from those two to stand on its own two feet. Hopefully, Clive Barker’s The Thief of Always is finally coming to the screen in an adaptation by Barker’s longtime friend and associate Oliver Parker. But a movie version of this novel has had a lot of false starts in the past. And that’s a shame because it’s the perfect mix of genuine scares and fairy tale sensibility. It’s about a young boy whisked away to Holiday House, where every holiday can be celebrated every single day—in that it can be Christmas in the morning and Halloween at night and each day just repeats over and over again. It’s perfect for a kid who never wants to face the responsibilities of growing up. Naturally, the house is much darker than it seems and the price of admission proves to be steep. It’s not only a great book for kids, but one of Barker’s best in general. The Halloween Tree been adapted once as an animated TV special, but Ray Bradbury’s tome deserves a much more spectacular outing than that. Even if the animated movie was good, Halloween Tree might just be the ultimate children’s horror novel. It’s short and to the point, but absolutely spectacular at the same time. It’s not only a truly educational history of Halloween, but also a story about the end of childhood and the first true realization of death. A large-scale film has the potential to be something truly beautiful if it was done right, which would at least hopefully draw more attention to the book. Nineteen 2016 Horror Movies We Can’t Wait to See!